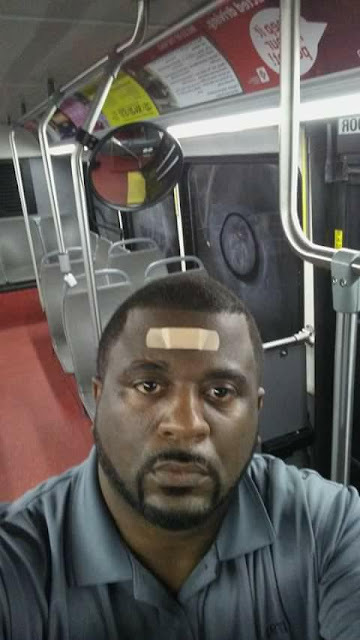 Deke's Note: Mr. Dwayne Russell, Sr. of ATU 1197 in Jacksonville, Florida started a movement called BAND TOGETHER in 2017 to highlight violence upon transit workers. 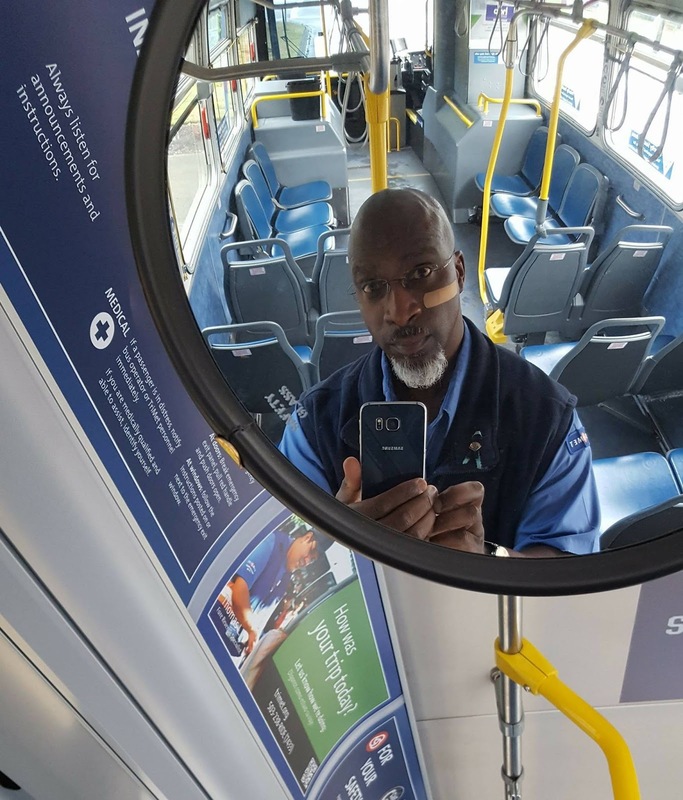 Operators here in Portland joined in as ATU 757 brother Henry Beasley requested, wearing BandAids on our door-side cheeks with the number of local incidents written upon them. This week of September 16-22, operators worldwide will join with Mr. Russell in solidarity. Many transit workers have been assaulted and lived to tell the tale. Sadly, others are no longer with us. It's a growing epidemic, yet little has been done by transit agencies to say ENOUGH! Imagine driving a busy route late at night. An intending passenger stands yards away from the stop, wearing all black, next to a tree, head down staring at his phone. Even though you missed him the first time you looked at the stop, your next scan catches a glimpse and you stop your bus just short jog away. It's pouring down rain, and Billy BadAss jumps on board dripping wet. He's furious because you "missed the stop," but doesn't thank you for stopping. You gently apologize for not initially seeing him, but mention his posture and clothing choice made him virtually invisible in the best of circumstances. The next instant, your head explodes as Billy's punches find their marks. Breaking your nose, skull, cheekbones and jaw, only instinct guides you now. Your agency's recommended lame "cover and block" tactic is useless against the brutal barrage of punches thrown by someone half your age. A swift kick to his knee bends him over, but your body wants to ensure a swift end to its unwanted injuries so you follow through with a well-placed heel to his forehead. Billy goes down in a heap, unmoving. Attack over, you try to figure out what just happened. Your mind however, is injured and you are, for want of a better term, "freaking out." After your hospital stay, management declares you partly to blame because you dared "lecture" Billy about his responsibility to be seen and present at the bus stop. Then it suspends you for your aggressive response to the attack. Not only are you forever scarred and afflicted with Post Traumatic Stress Disorder, but unable to work for weeks or months, your financial situation is threatened once your sick leave is exhausted. Instead of rallying to your cause, your employer pressures you to return to work or face termination. Sound crazy? It definitely is, but it's also an alarming trend for transit agencies more afraid of lawsuits than brave enough to stand up and protect one of the most vulnerable public employees in this violent world. It's infuriating for us, and also frightening because it can happen to any of us when we're on duty. It has happened to many operators on more than one occasion, adding to their already-present PTSD. Many operate in diminished capacity without even realizing it. We argue what constitutes "assault" in our profession, but in my opinion it's pretty simple: Any time a transit worker is threatened while doing our job. It could be anything from verbal or sexual abuse to spitting, punching or slapping, weapons shown or usage implied, objects thrown (or bullets shot) at our vehicles, or any number of other violent acts. Whenever a transit worker experiences any of these actions, we are usually thrust into the biological "fight or flight syndrome." When a human body is threatened, several things happen simultaneously to prepare us for imminent attack. After the event has passed, even if we haven't suffered injury, our body (and soul) has endured a shock that requires time to recover. If allowed to continue operating, the driver's mind is constantly replaying the incident. Scans are missed because our eyes are in tunnel-vision mode. Rather than being entirely focused on the road, we dissect what just happened. Anger, frustration, sadness and other emotions override the calm and focus required to safely operate a transit vehicle. Entrusted with tons of dangerous steel and glass, we become a danger to everybody in and around us. 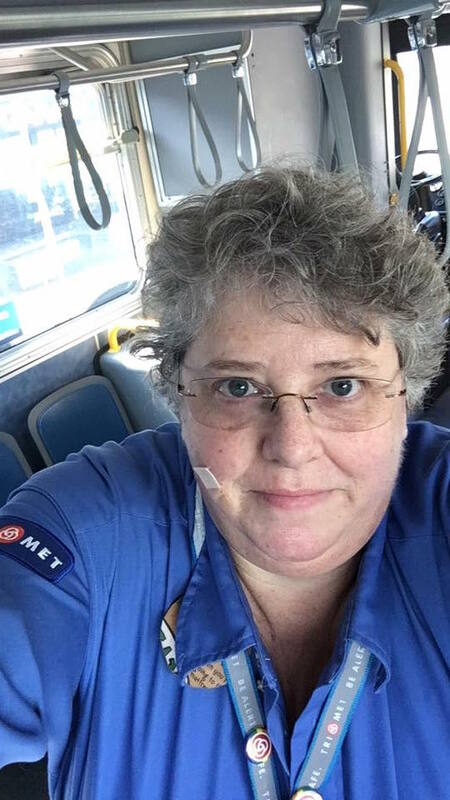 This is called "diminished capacity," a condition transit agencies have ignored for decades, often requiring afflicted operators to continue in-service rather than insisting they take the necessary time to recover. It's incredibly foolish and dangerous for any transit agency to ignore their valuable employees' well-being in favor of a bunch of numbers on a spreadsheet. We've become an afterthought rather than the victim. Gone are the days when transit agencies fervently supported frontline employees, insisting the riding public show respect and follow the rules. Now, management often blames the operator first, even when brutally attacked. It's as ridiculous as insisting a woman deserves to be raped because of her wardrobe. If we're physically assaulted, our bodies are primed for defense. Biologically. Pride has nothing to do with our physiological response to a threat. When we actively and physically fight back, we're treated as if we're criminals. Suspended, even fired, for simply being human. It's a theme I've visited many times because personal safety remains our biggest concern. Couple that with the right to self-defense, and yeah I'll keep screaming until more concrete steps have been taken to stem the tide. We're on the front lines of an insane world, and given nothing to protect ourselves or our livelihood. To be fair, our management agreed to some measures allowing us recovery time in our last contract. However, much more could be done to ensure not only our safety, but that of everyone in and around our vehicles. We transport many of those who make economies work, and are some of the safest drivers in the world. Yet we're viewed with scorn by many who ride, and seemingly with disdain by those entrusted with our safety. It's ludicrous how we're treated by the rogue and unaccountable government corporations which rule transit. We have work to be done regarding safety, but I'm confident that common sense and decency will eventually replace the disgraceful status quo. This week, I will join my brothers Henry and Dwayne, along with those in Nova Scotia, Rhode Island, Virginia, Florida, Texas and hopefully all across the globe by wearing a bandage on my right cheek with the number of aggressive incidents against Portland transit workers. You see, I too have been assaulted, spit at, threatened, abused and stalked. Those who ask me about my bandage will learn why I'm wearing it... and my explanation will be given with a prayer for all who roll the wheels not knowing if, or when, it could happen to them. "Shepherds of public safety, sacrificing daily for the common good," is how my friend and brother Tom Horton describes us. Peace be with you my brave brothers and sisters. I'm rolling with hope that everyone's will always be a safe ride. Deke, what ended up happening to the plastic barrier trial? They will be standard on all new buses evidently. I still don't like them but if they help lower assaults, then something is better than nothing.